BR INDUSTRY CO.,LTD IS The World’s Leading Fittings Manufacturing And Export Trade Company. We Offer Top Quality Fittings, Valves And Flanges, Such As Inox Camlock Fittings, Camlock Coupling, Ball Valve, Flange Ball Valve, Press Fittings Etc. We Perform Very Strict Quality Control To Ensure Top Quality Products To Win The Credit Of The Clients. 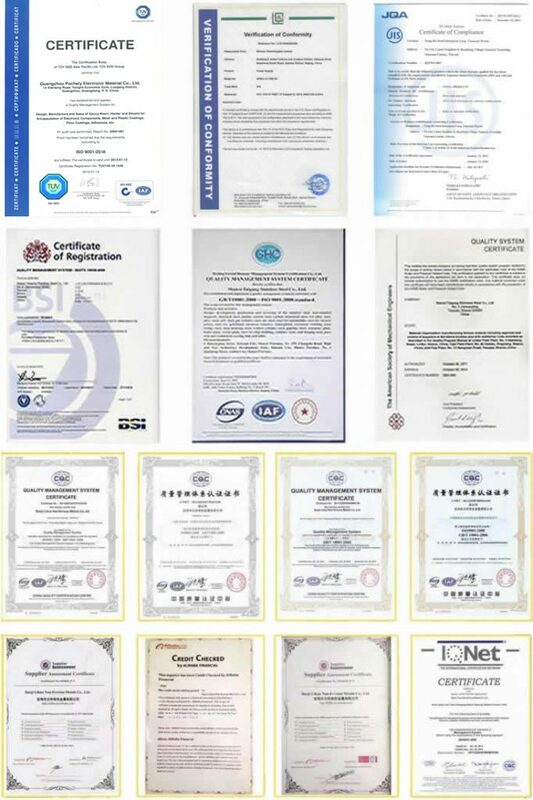 Our Factory Have Obtain Many Certificates: ISO9001:2018, ANSI, DIN, JIS, UNI, STAUFF, PARKE, EATON, TUV CE, TS16949, GB Etc. BR INDUSTRY CO.,LTD Is The World’s Leading Fittings Manufacture And Export Trading Company. We Offer Top Quality Fittings, Valves And Flanges, Such As Camlock Coupling ,Pipe Fittings, Ball Valve, Flange Ball Valve, Press Fittings Etc. Since we have a team of experts that are working together to give the customers the best products that they are looking for. We offer a trusted brand of products that you can use in different industries. We have many factories around the world, we can offer you best products with fast shipping.